So it’s about that time and you’ve probably been wrestling with the idea of going natural BUT chopping off all your hair is leaving you in a cold sweat. Don’t sweat it!! here are a few tips for transitioning hair. PS: These tips aren’t the holy grail for transitioning hair, they’re simply snippets from my own experience. I can’t deny that my heart sunk a little when I realised that detangling was beginning to take even longer than usual; I didn’t think it was possible. When going natural you somehow begin to develop the patience of a saint, its either that or fight with your hair. I had a few battles myself, my hair always won. At the end of the day you still want healthy natural hair and no one else can look after your hair the way you do. Take your time when detangling especially when transitioning. You’ll begin to notice your DEMARCATION LINE: ‘where your natural hair line meets your chemical hair line’ This is the hot spot where hair is most likely to break off, patience is the only way. Research products that help with detangling and remember ‘Conditioner is your friend’.. I wasn’t quite sure about the whole multi-texture thing, I just felt like my hair looked unkempt so I thought my only option was heat manipulation. ‘Got ma self ma very first straightener’ BUT!! I began to notice those ends vanishing faster than usual and my roots thinning. I call this stage my RELAPSE PHASE. 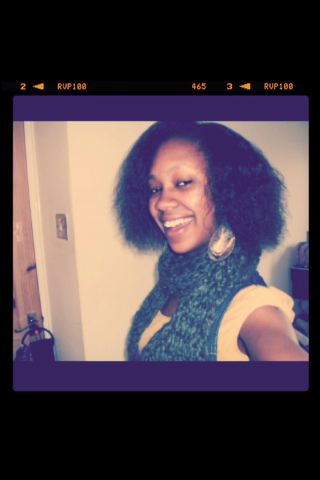 I was missing my straighter texture, I could actually put a comb through my hair and feel my scalp…sigh!! But after a few months I got back on track and reverted to cornrows and braids and realised that this hair breakage business was not worth it. #TIP Heat breaks down the protein in your hair making it more prone to breakage and split ends. 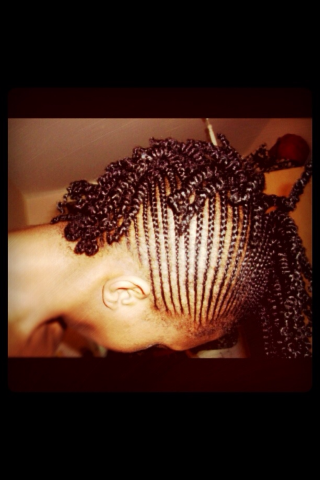 I did a lot of protective styles while transitioning. I mostly had my hair braided up or in cornrows. This was to avoid manipulating it too much, I didn’t want to use heat as much anymore and having it open all the time, for me at the time, meant that I was more tempted to stress it by straightening it and combing it . I quickly learned that combing it often also = breakage hence the protective styles. However even with protective styles I had to be mindful not to leave braids in for too long and to make sure I incorporated hair treatments when I took braids or cornrows out. I really didn’t want to have the ‘Big Chop’ yet so trimming worked for me. Every so often after taking out my cornrows or braids, I had a little snip. I didn’t miss the hair as much because my natural hair was coming through; you suddenly begin to discover the whole new world of curl patterns. 1 week ‘wash n go’ after Greek yoghurt treatment.. I think we’ve all been there. 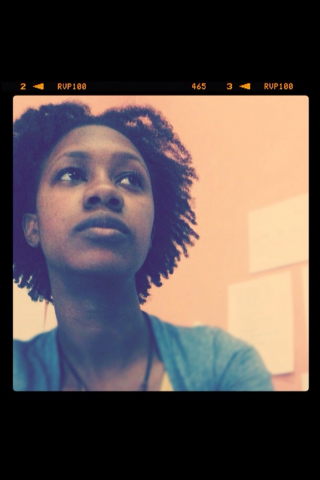 With so many natural hair movements online it’s hard NOT to get distracted by other naturalista’s. After months and months of pinning and being disappointed with my own hair not having a certain fullness, bounce, shine or length, I jadedly gave in and began to embrace my hair. Though unsure at first, with time I slowly began to notice little quirks about my hair like how often it felt like it needed a wash, finger detangling rather than using a comb and ‘pre poos’ detangling your hair with some product i.e conditioner before washing it. 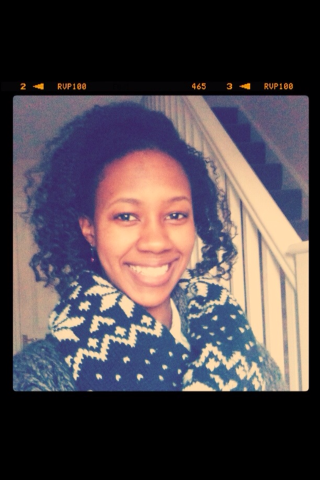 I was finally tuned into my hair’s needs and before long I realised that I’d had a change of mind and heart, this is when my natural hair journey truly began. After a few months I got bolder and cut heat out completely from my hair regiment and only had it once or twice a year. #TIP Moisturising hair is a must, a little spray water bottle goes a long way to keep those ends nourished. So there it is!! just a few tips that helped me get through transitioning. I still haven’t had the ‘BIG CHOP’ but have one on the cards in a year or so. Hi thanx for the transitioning tips :-)I can sooooo relate wen it comes 2 detangling it is HORROR!!! I washed my hair on friday evening and since most of it is still permed you can imagine the pain n time it took 2 detangle the ends without a blow dryer i had to comb it all out in sections then do matutas it took 4EVA but i managed (after a couple o hours) i think i will just be going 2 the salon when my hair needs washing because honestly i do not have the time and energy to do that after each wash. conditioning pre poo really does help coz it softens the hair and it is much easier to detangle but after you wash it tangles up again which is so frustrating aaarrrgh!! Right now i have a weave but once i remove i shall trim out my split ends because i noticed i need to cut them out.